Perfect Ponds and Landscapes is a family run business with a passion for providing unique pond designs. We have a wealth of experience ranging over 30 years in building and maintaining ponds and lakes of all sizes. Developing a reputation as a reliable, cost effective, professional company with all of the benefits of a large organisation but retaining the personal touch. 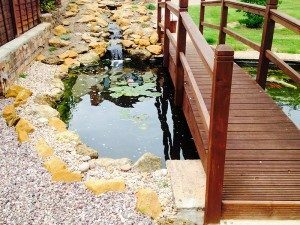 We have a vast range of pond filters, pumps, liners, fountains, pond plants and other materials available from top quality manufacturers who offer great guarantees when building a pond to their specification. Our professional approach ensures that you end up with the dream pond you always wanted, combined with peace of mind because you know it meets the required standards. Many people believe that building a pond is simple, you may hear people say “its just a hole in the ground”. They couldn’t be more wrong. Constructing a pond correctly and to our high standards will result in a pond you can enjoy without the hassles of constant cleaning and filter problems, which for many people can be immensely time consuming, and detracts from enjoyment of their pond. Many customers do not have the time to regularly maintain and service their ponds. 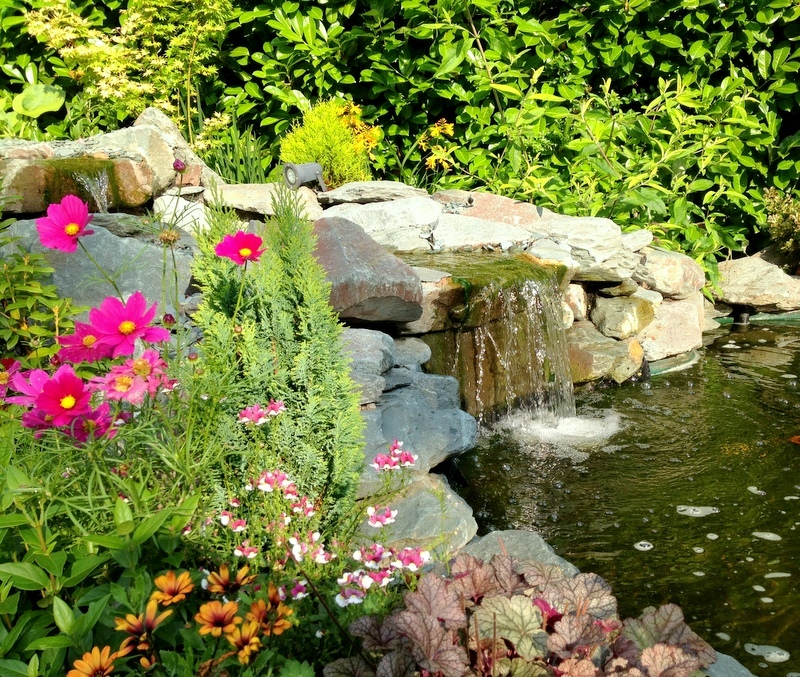 A garden pond without regular maintenance and care can be unhealthy and an eyesore. We specialise in the regular cleaning, maintenance and servicing of ponds. With our experience you can expect a crystal clear pond. Operating out of our base in Redditch, we provide services in Birmingham, Coventry, Solihull, Warwickshire, Worcestershire, Cotswolds, and at locations throughout the West Midlands.